When on the right track, luxury is something that will never fall out of style. True luxury is not a fad or whimsical fancy, nor is it a flash in the pan fashion trend. Luxury is an experience that transcends the product, its something rich, sensual, and spellbinding. When dealing with luxury marketing we talk a lot about gifting a lifestyle rather than selling a product. Branding in luxury is about binding dreams with reality, folding together the tangible and intangible, and finding that all important golden threat that connects the past, the present, and the future. When someone decides to invest in a luxury product; whether it’s a Cartier ring, a Philip Patek watch, or even a Hermes scarf – they are not just buying a thing, they are choosing to be a part of a story. They are looking to place themselves in the landscape these luxury brands have built. They are seduced by the lineage, the heritage, the language, and the culture that has carried the brand to their door. Heritage is a secret weapon when used artfully well, and the best thing – all brands have it. Why is heritage so important? In today’s world it’s easy to feel lost. Earlier this year Britain elected a minster of loneliness, the popularity of DNA ancestry kits are soaring in sales, and there seemed to be a rise in the frenzied desire for connection. This could be linked to the rise of technology, the daze of entering a digital age, it could be the hangover shift into the new millennia, whatever it is, the message is clear – we are seeking stability, a tribe, and a sense of timeless belonging. Heritage taps into some of our deepest set emotions. It has a soft scent of nostalgia, a craving for the golden era gone by, it exudes the idea of quality and craftmanship, things built to last with the hands and the heart. In our modern paced and throwaway world, one filled with electronic books, fast fashion, and abject consumerism– we hanker for objects of beauty and desire, things with weight, wonder, and their own history. We long for something that has and will, stand the test of time. Luxury brands have a duty to preserve and protect their own stories. This can be difficult in a world of conglomerates and the mad dash towards the top of the capitalist ladder. It’s all to easy to get swept along in the current of changing trends, and as you do so, you start to lose grip a little on the heritage story that has kept you afloat for many decades. What Kapferer and Bastien are referring to is the importance of remaining authentic to your heritage. 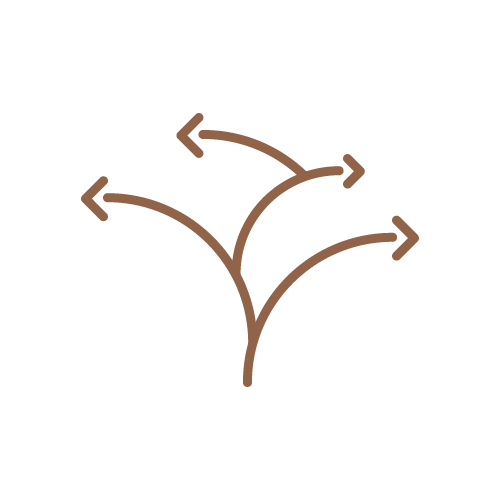 Heritage should be seen as so much more than a backstory, as mentioned it is an anchor point, the root from which your brand blossoms. Brands that build their empire on heritage need to strike a balance in the modern market. While heritage is still something concrete that we crave, this doesn’t mean that these brands can rest on their laurels during such culturally tumultuous times. Finding a way to make your heritage story relevant to today’s consumer is the strategy that will set you in good stead. Burberry may have had a few rocky moments in its history, but there’s no denying that as a brand it has managed to bridge that gap between classical style and modern innovation. In an article for Harvard Business School called Luxury Isn’t What it Used to Be, they point out that both Queen Elizabeth and supermodel Kate Moss dress in Burberry. Beyond the borders of fashion, luxury heritage brands can often be synonymous with products that feel more familiar with an older market. We are talking handcrafted lace and fine china – the onus is now on these brands to find a way to blend heritage and innovation in order to connect with the up and coming generation. Heritage shouldn’t be seen as something solid and stagnant, an anchor that weighs you down but one that moves through the world with you. You only need to look at brands like Apple to realize how fluid heritage can be. This is a brand that has built up a lasting legacy in just 20 years and it will easily stand the test of time against brands who have taken centuries to leave their mark. Heritage shouldn’t be seen as something solid and stagnant, an anchor that weighs you down but one that moves through the world with you. 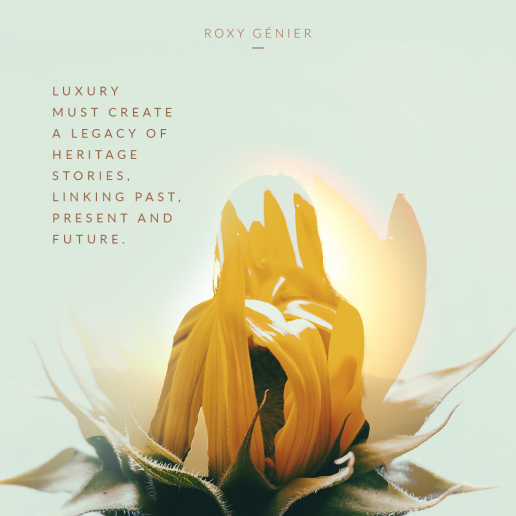 Luxury has always relied on heritage stories, but now in today’s world we can’t just sit back and hope those tales will continue to carry us forward. We need to start thinking creatively, seek ways to make our glorious anchor tales fit into this modern landscape, to use those first sparks of innovation to inspire a whole new generation. In New Luxury we recognize that heritage goes beyond the story of a man, a woman, a needle and thread. While there is an abject romanticism to that idea, if we hold on to that too tightly we run the risk of falling into the trap of fairytales. Heritage is made of stronger stuff than whimsical fantasy. It is the foundations on which we build an empire. 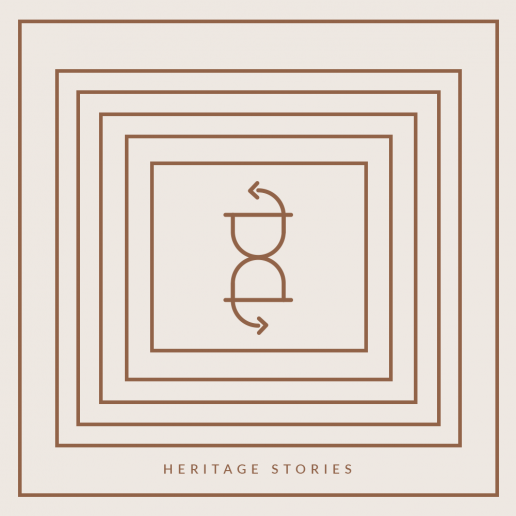 Heritage Stories is a New Luxury value. Now, let’s explore the next luxury anti-value.